Kristin Fisher is an eyebrow queen. Here are her favourite beauty products. Kristin Fisher is the queen of brows, but here's why she wants you to get a lash lift. This wonderful nugget of beauty wisdom comes courtesy of Mamamia’s beauty podcast, You Beauty. For this week’s In Her Bag, Leigh Campbell rummaged through Kristin Fisher’s beauty bag to find out what products she loves. Kristin Fisher is the founder and CEO of Kristin Fisher Eyebrows. A beauty therapist by trade, the Sydney-based entrepreneur has built a cult following with her tailor-made eye services performed out of her millennial pink dream of a salon in Double Bay. Listen to Kristin’s full interview on You Beauty below. To ensure you never miss an episode, listen to You Beauty here for free. It’s a blast. Fans of Sydney-based beauty therapist Kristin Fisher know her for being the queen of eyebrows. From humble beginnings waxing eyebrows in a tiny studio, Kristin now owns and runs arguably the east coast’s most-exclusive eyebrow salon, Kristin Fisher Eyebrows, grooming and microblading the brows of celebrities and influencers including actress Pia Miller, fashion blogger Nadia Fairfax, and Mamamia’s executive editor and beauty journalist Leigh Campbell. One half of our epic window display. I AM IN LOVE! @mivioleta ???? ‘KFE’ eyebrows are in high demand, but when Kristin sat down with Leigh for the You Beauty podcast, it was her eyelash tips that she said would change your life. OK, perhaps not your life, but at the very least, your morning routine. 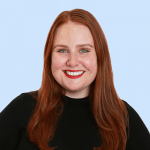 From the exxy skincare brand that fixed her hormonal acne to the lipstick everyone asks her about on Instagram, keep scrolling for Kristin Fisher’s favourite beauty products. Kristin Fisher’s go-to beauty products. 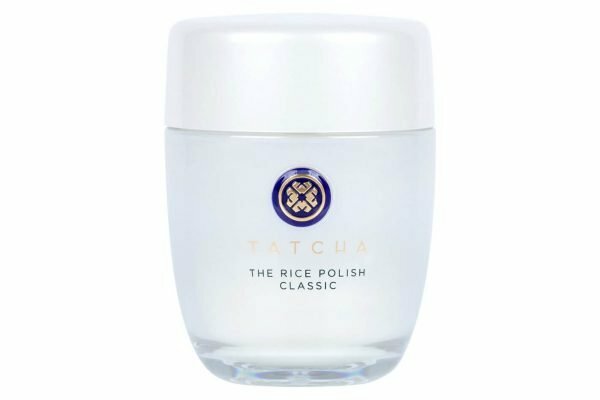 Tatcha The Rice Polish Classic Foaming Enzyme Powder, $99. 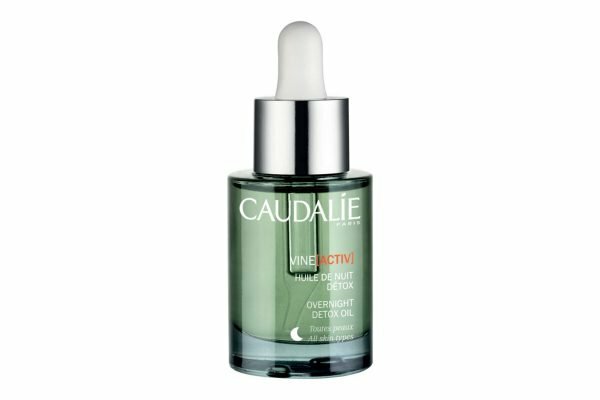 Caudalie VineActiv Overnight Detox Night Oil, $71. 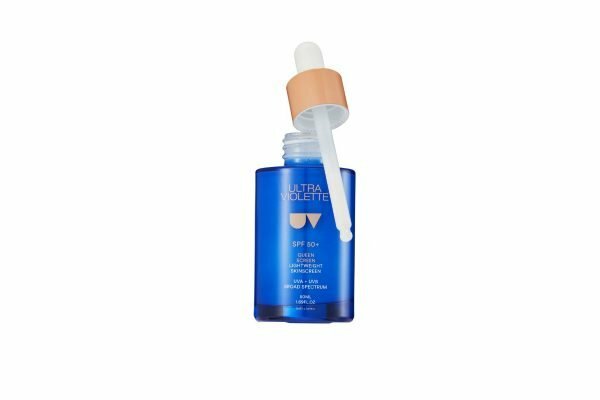 Ultra Violette Queen Screen SPF 50+ Luminising Sun Serum, $47. "A few years ago, I had hormonal acne - I was getting treatments every week, spending so much money and time on skincare. I thought there must be another answer, and when I went to Rationale, sure enough, within three months, I started seeing luminous skin and my breakups clearing up. From there, I became the Rationale cult leader. I use quite specialised Rationale products, for example, the cleanser isn&apos;t the main cleanser, it&apos;s a specialised cleanser." "The Tatcha exfoliant is kind of like the Dermalogica Microfoliant, it&apos;s really gentle. I only use it if my skin texture isn&apos;t super smooth. For sunscreen, I love Ultra Violette. I&apos;ve known the co-founder [Ava Matthews] for 10 years, but the reason I love Queen Screen is because it gives me a bit of a glow and I love the smell. I don&apos;t think it&apos;s congesting my skin at all, and it doesn&apos;t feel sunscreen-y. It&apos;s the best-selling product at my salon." 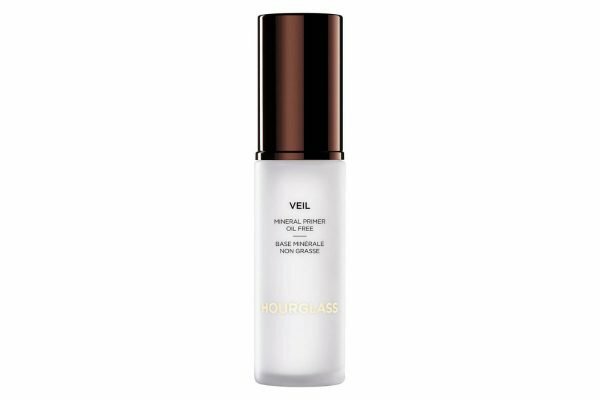 Hourglass Veil Mineral Primer SPF 15, $83. 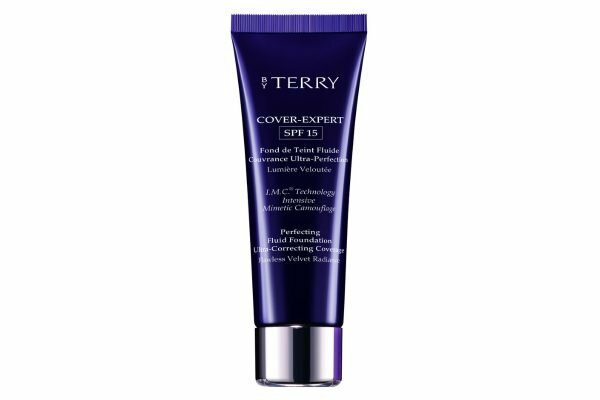 By Terry Cover Expert SPF 15+ Foundation, $94. By Terry Terrybly Densiliss Concealer, $100. "I prime when I&apos;m going somewhere fancy, but not under my every day IT Cosmetics CC Cream because it&apos;s an extra step. That said, I like the Tatcha primer too, and the Embryolisse Lait-Crème Concentré Moisturiser. For my going out foundation, I use By Terry. I need coverage because I have rosacea, which is aggravated by chilli, stress, not enough sleep and even retinol. 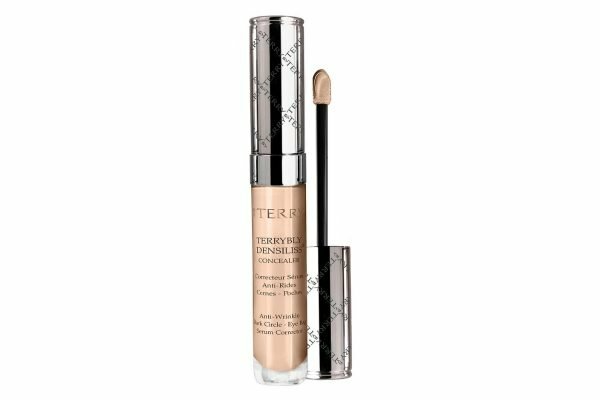 I&apos;m obsessed with the By Terry concealer, I use it everywhere, under my eyes and around my nose. It&apos;s the best, it does not crease under my eyes, ever. It&apos;s a lighter coverage, but still has enough pigment." NARS Larger Than Life Long-Wear Eyeliner in Via Appia, $40. Chantecaille Faux Cils Longest Lash Mascara, $110. "I always said I loved lash lifts, but once I tried extensions, now I&apos;m hooked. When I don&apos;t have extensions, I use this mascara.. sometimes, I pop it on top when I do have extensions. I do recommend lash lifts for the majority of people, and a tint, every six to eight weeks. 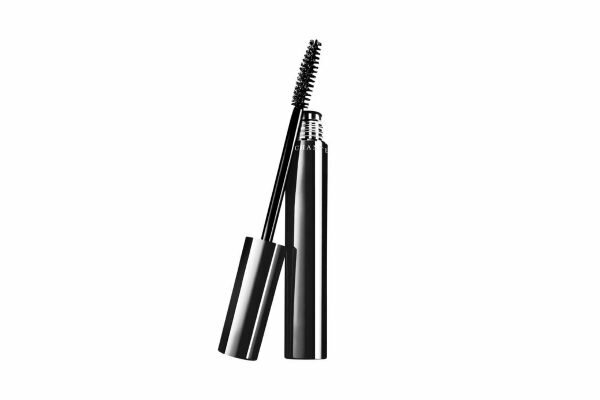 It lifts the lash from the root and when you pop your mascara on, it takes two seconds. The NARS eyeliner is always sold out, but the shade is stunning, a beautiful, shimmery brown." 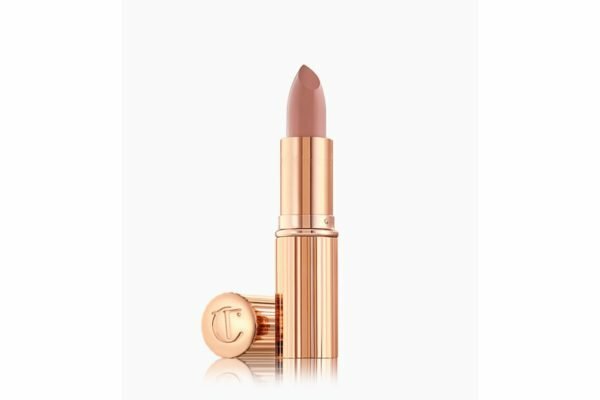 Charlotte Tilbury Kissing Lipstick in Penelope Pink, $49. MAC Cremesheen Lip Gloss in Boy Bait, $40. 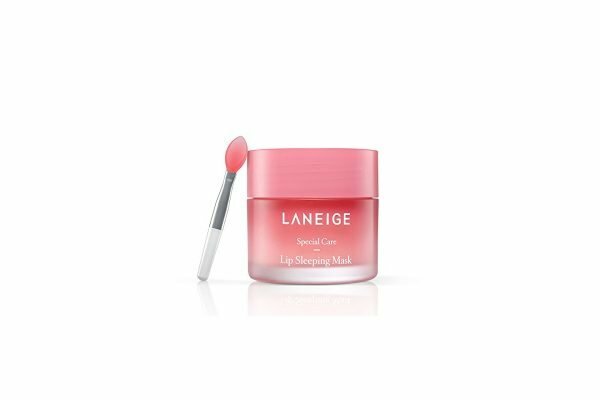 Laneige Lip Sleeping Mask, $25.95. "This combination was a fluke, and it&apos;s made me more of an 100/10 than I&apos;ve ever been in my entire life. The Charlotte Tilbury is the best lipstick, it&apos;s a very light pink, and the lip gloss goes over the top. Then, I wear this sleep mask to bed, it&apos;s amazing. 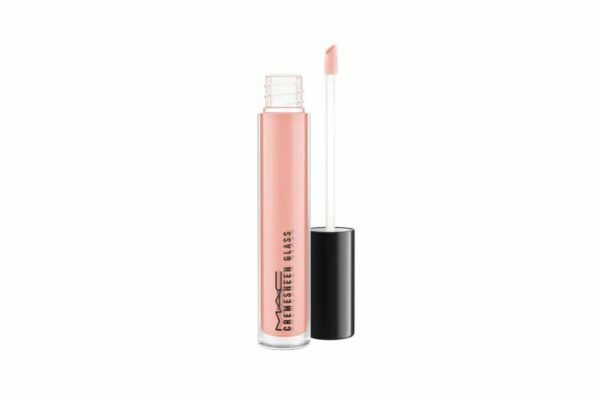 The first time I used it, I coated it on and when I woke up, my lips were really tacky, but now I put it on as a lip balm during the day, and a little bit heavier at night." 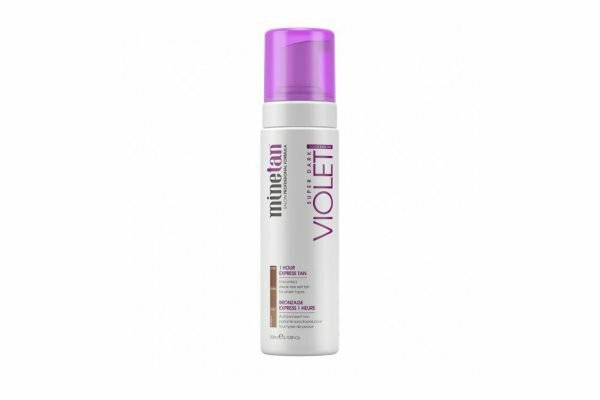 MineTan Violet Self Tan Foam, $29.99. "I don&apos;t ever go into the sun, I&apos;m petrified now because I&apos;ve got all these freckles on my chest. We use this tan in the salon for spray tans and I use it at home with the mitt. I like the violet shade because it&apos;s the colour you go when you go to Europe, not at all orange. I tan for two hours, shower and then it keeps developing. I&apos;m always best on day two, so I do it on Thursday if I&apos;m going somewhere on Saturday." 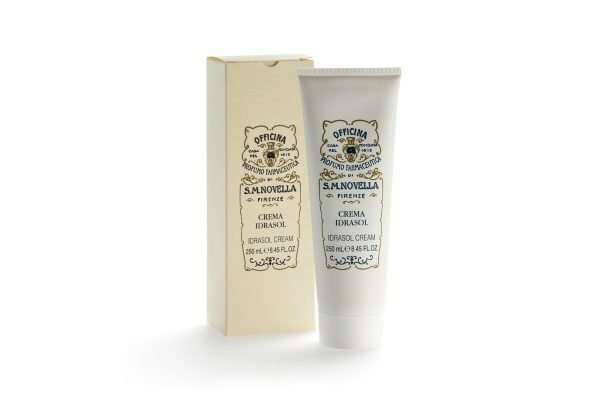 Kristin&apos;s Spendy: Santa Maria Novella Idrasol Body Cream, $127. "It&apos;s like a body butter, my friends wear it and I felt their legs one day and they were so soft like silk. It&apos;s so luxe. It&apos;s a lot for a body cream, so it&apos;s not an everyday body cream. I use it more when I want self-care. Every day, I use the Abhati Suisse Kanva Body Lotion." 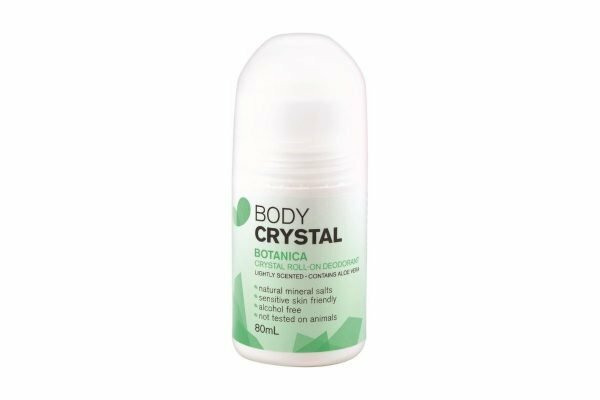 Kristin&apos;s Savey: Body Crystal Botanica Roll On Deodorant, $5.50. "I&apos;ve been using this for a while, I stopped using aerosols a year and a half ago because I get a rash. This has aluminium in it, but it&apos;s $3 from Woolies. I do get a bit damp because it&apos;s not an antiperspirant, but I&apos;m not smelly. Side note, I also love MegaBabe Rosy Pits." Do you use any of Kristin&apos;s favourite beauty products? Tell us your thoughts in the comments. Love all things beauty? Come join our You Beauty Facebook group for more chat about things to put on your face. And body. And hair. Want more beauty content? Visit our newsletter page and sign up to "You Beauty" to get beauty guru Leigh Campbell&apos;s best tips and products every week in your inbox (see one of her newsletters here).